Ships tomorrow if you order in the next 17 hours 14 minutes. Auto Ship & Earn + 124 Points What's this? 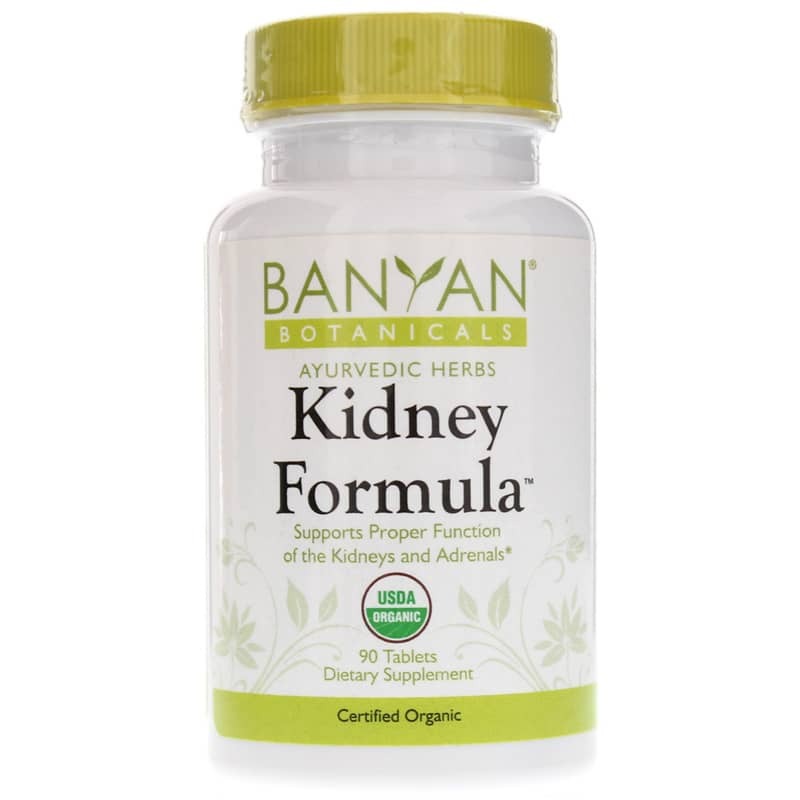 Banyan Botanicals' Kidney Formula helps support kidney and adrenal health with a rejuvenating herbal tonic. Your kidneys are critical organs that work hard to separate nutrients in your blood from waste. They help keep your body chemically balanced by eventually eliminate waste through your urine. 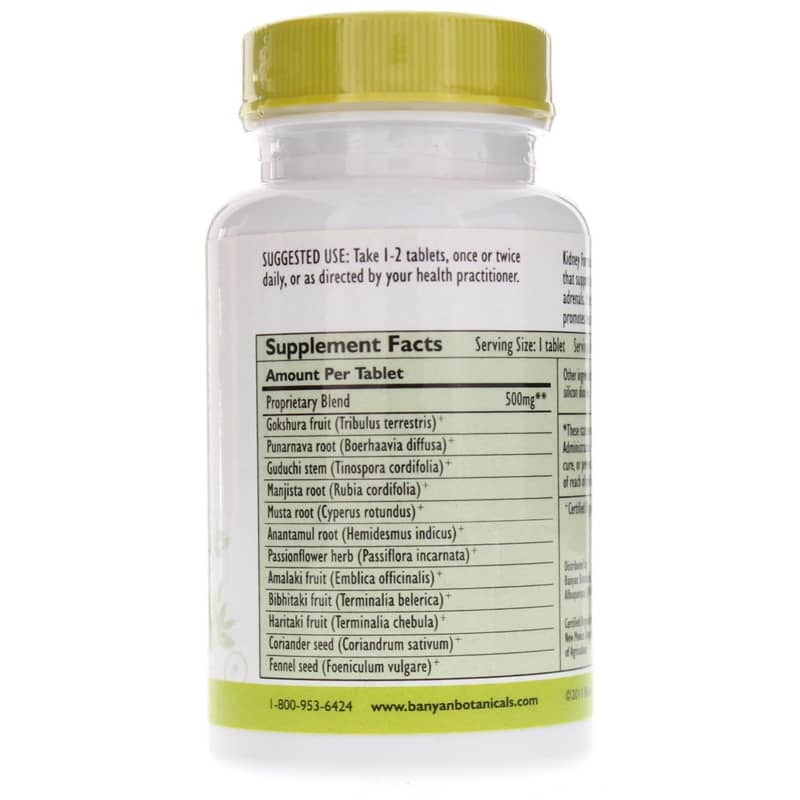 Kidney Formula supports healthy urinary flow and composition, support your body as it cleans your blood. This energizing blend of herbs helps support a healthy, unobstructed urinary tract and works to cool and soothe your urinary system. Stress and natural toxins from the food you eat and your environment can challenge the health of your kidneys and adrenals over time, leading to low energy and fatigue. Kidney Formula may help cleanse and nourish these organs, infusing strength and enhancing their resilience to such challenges. To use as a dietary supplement, you can take one to two tablets once or twice a day, or as directed by your healthcare practitioner. Banyan Botanicals contain no animal products and are suitable for vegetarians. Other ingredients, from natural sources: organic maltodextrin, silicon dioxide. Contains NO: gluten, soy and dairy. 100% vegetarian. Adults: Take 1 to 2 tablets, once or twice daily, or as directed by your healthcare practitioner. 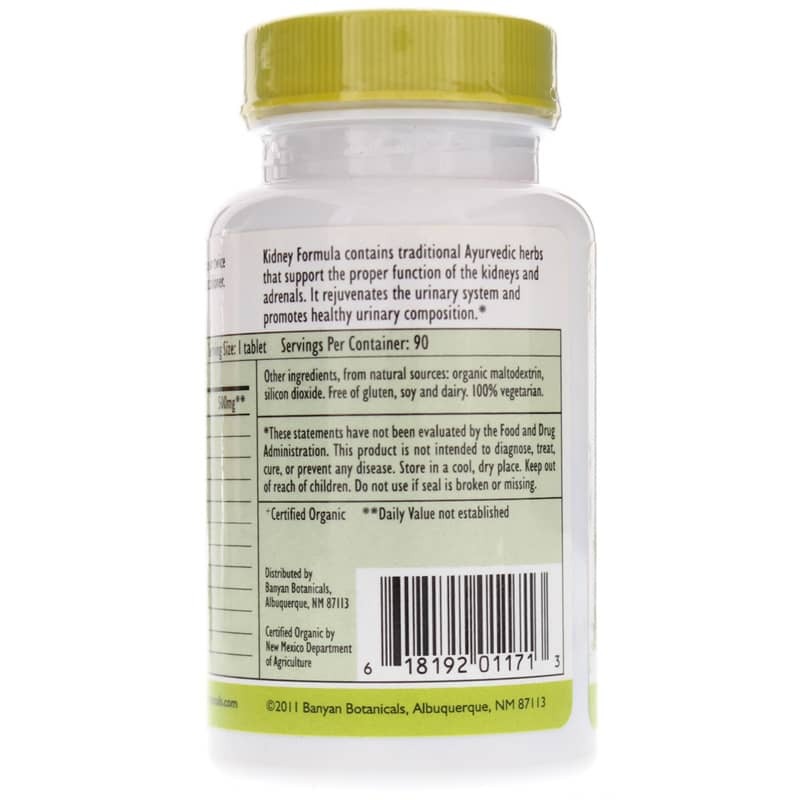 I found the Banyan Botnaicals Kidney Formula to be effective, gentle, and balanced. Excellent product.